Watch the horrifying moment a wheelchair-bound man plunged to his death down an elevator shaft after he deliberately rammed the lift door in a fit of anger. This must be one of the strangest ways to die. 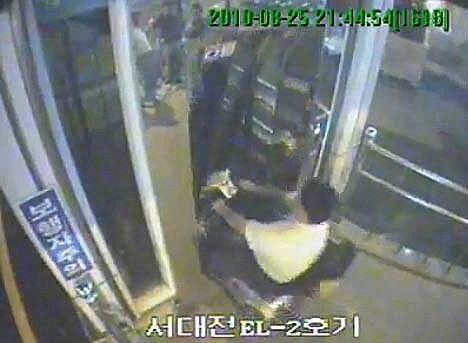 The Korean man wanted to catch a lift in a shopping centre but waste to the doors, as the elevator doors closed, the man, known only as Mr Lee, slammed his wheelchair into them but it was too late. The 40-year-old then pressed the button but was equally unsuccessful and the elevator left. Angered by this, Mr Lee then reversed his wheelchair and drove into the doors again, making a dent.He reversed back and made one more attempt. 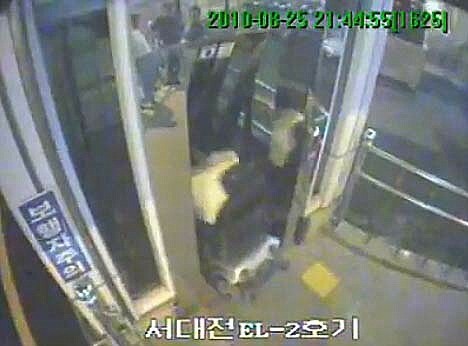 It was to be his last and fatal decision because this time the lift doors gave way and he plunged to his death. He is believed to have fallen about 19ft. 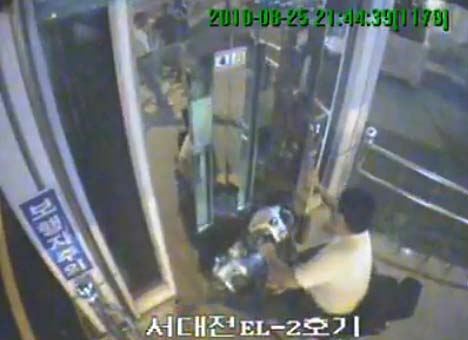 The incident, which happened in August 2010, was caught on security cameras in the shopping centre in Daejon, South Korea. Police said the accident was caused by Mr Lee’s anger at the woman not holding the door for him. Shopping centre officials have now strengthened the doors of the lifts to make sure the accident is never repeated. This is what can happen if anger takes over you. Always take a deep breath.